My Home → Collaboration → Microsoft Brings Back the Blackboard – Ready to go Retro? 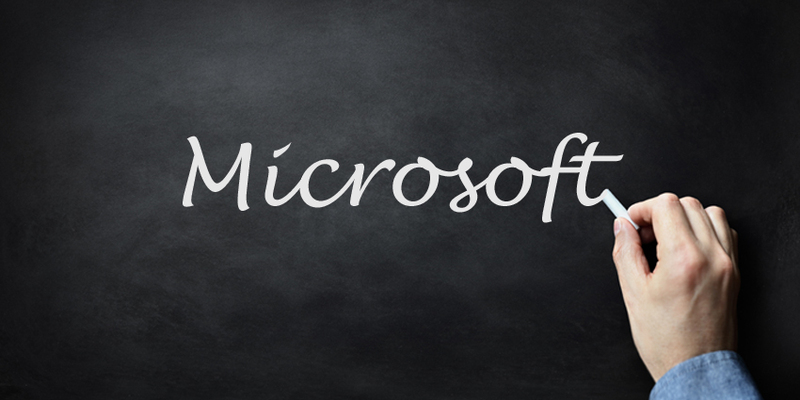 Microsoft Brings Back the Blackboard – Ready to go Retro? If you’ve been missing your classroom days, you may be able to recreate them (without the clouds of chalk) through Microsoft’s new “Blackboard mode” for their Whiteboard application. Microsoft Whiteboard, the digital collaboration and communication application from Microsoft, will soon have its own “dark theme” option. The update was announced by Emil Petrol on Twitter, who seemed to indicate that Microsoft may be offering multiple background colours to choose from in the months to come. The blackboard theme will provide users with the option to customise their meeting room and collaboration experience without having to rely on the often overly-bright white backgrounds of the standard whiteboard. A “dark theme” on Microsoft applications seems to be a common trend lately. Various other productivity tools from Microsoft, including the Microsoft To-Do list, File Explorer, and Microsoft Sticky Notes also got new dark-mode options on Windows 10 recently. What’s more, Microsoft Office apps on Mac are also getting “dark mode” choices too. The blackboard mode on the Whiteboard collaborative tool isn’t just a way for people to recapture their youth and experience a sense of nostalgia. The Microsoft Whiteboard, a collaborative tool launched in 2017 allows customers to connect and collaborate on the same project with text, sticky notes, pictures, and text. Typically, the whiteboard has a white background, but some people don’t particularly like the bright white colouring, which has led to feedback on Microsoft forums, asking for darker shades. Now that the dark theme is so prevalent across the Microsoft portfolio, it only makes sense that Microsoft would want to roll it out for the whiteboard too. What could be more natural than a blackboard mode for a device that has the same size, shape, and functionality of a standard blackboard? When Will We See the Blackboard Theme? For now, the new Surface Hub theme is just in the announcement stage, with no firm answers on when we can expect to see a rollout. Still, if you rely on the Microsoft Whiteboard for your collaboration experiences, and you’re tired of the white background, this will be something to look forward to in the weeks ahead. We can’t wait to see whether there are chalk drawing tools added to the mix too!